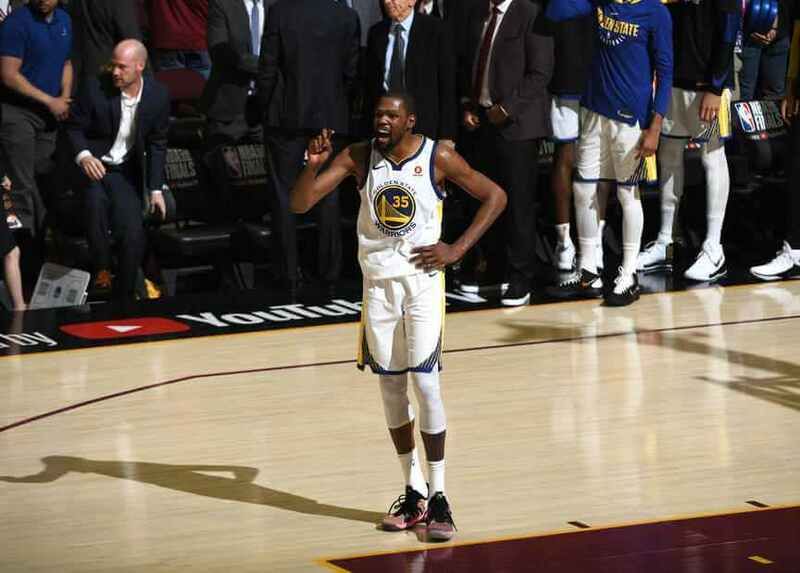 With 5:10 remaining in Game 6 of the 2016 Western Conference Finals, Kevin Durant made a tough, fade away jumper to put the Oklahoma City Thunder up by seven points versus the 73-9 Golden State Warriors. Kevin Durant wasn’t just five minutes away from making it back to his second NBA Finals. 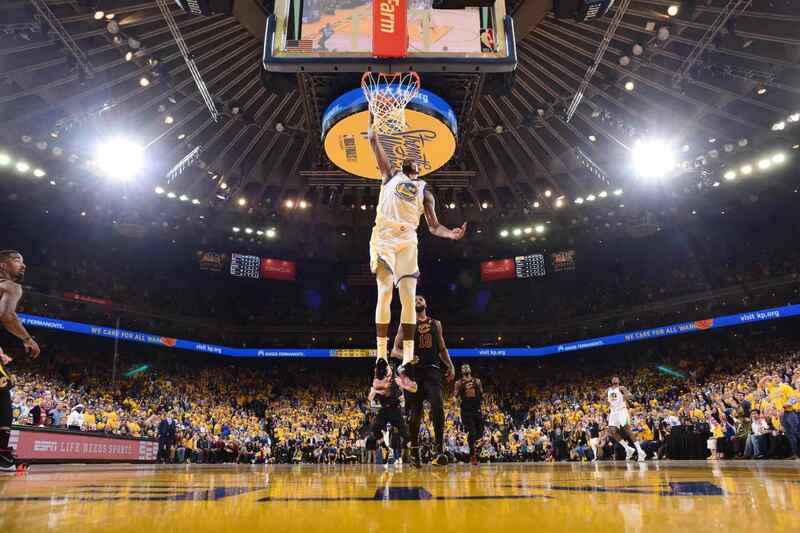 He was also five minutes away from being one step closer to his goal of being an NBA champion, something that haunted him ever since he was regarded as one of the best players in the league. Durant did not want to be a part of that group of great players who couldn’t win it all. He grew up with a generation that believes winning a ring is a validation of your greatness. 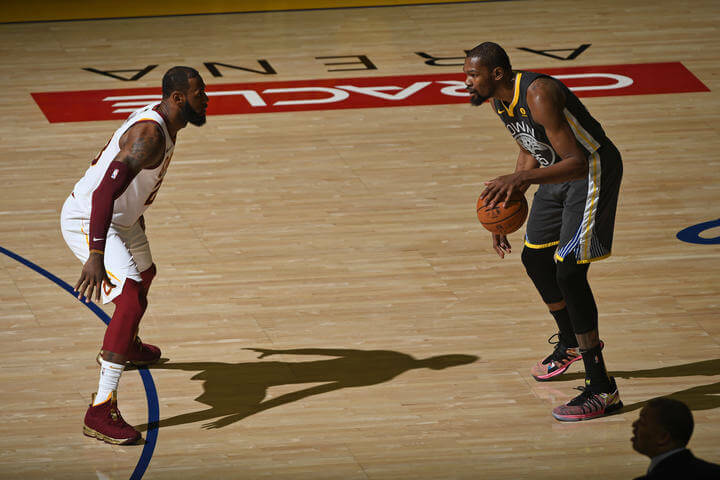 A player can be the most tantalizing scorer who can do a variety of things no other player could, but if he can’t win in the Finals, then does it even matter? In five minutes and ten seconds, Durant turned from a possible NBA championship contender into an all-world choker. The Thunder, his team blew a 3-1 lead. No matter how good you are, if you don’t reach your goal of winning a championship, you’re bound to have doubts about your game. It was evident with Durant, especially with how he spoke on the recruitment process he went through during the summer of 2016. People laughed when he said this, but if anything, it shows that the normally seen freak that was Durant was actually human. Looking at his stats, it was ridiculous to think he needed any form of validation from his peers regarding his abilities as a basketball player. our scoring titles, Rookie of the Year, an All Star Game MVP and one regular season MVP. But that wasn’t enough, especially with the kind of culture Durant grew up in. Those awards did not mean a thing without a ring. The pressure was growing on him, so he had to make a decision. Stay in OKC, where he’s failed time and time again? Or go to another city, a better situation perhaps, so he could put himself in a place where winning a championship was truly plausible? 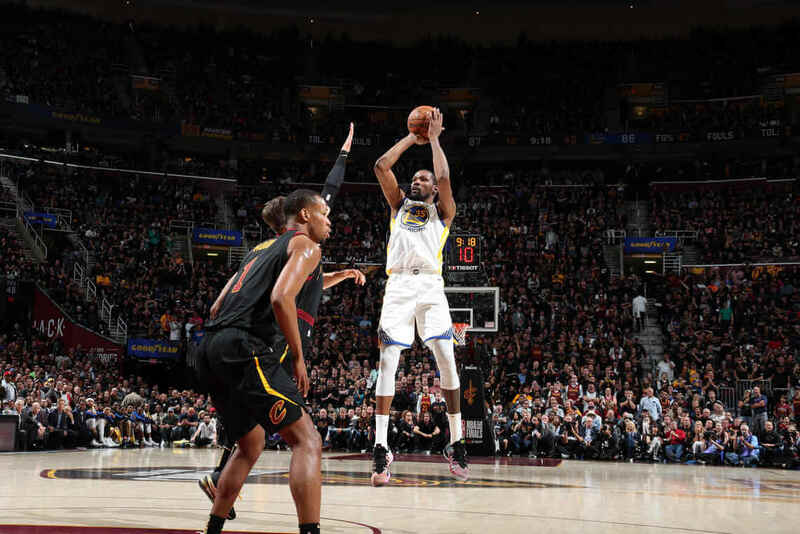 Fast forward to June 2018, and Durant is holding up his second straight Finals MVP after sweeping the Cleveland Cavaliers. Just like his first go at a championship the previous year, he had everything you’d want from a superstar in a Finals series. Durant had the monster statistics (28.8 PPG, 10.8 RPG, 7.5 APG) and another big moment to justify winning the MVP award. Any player would dream of having such a series. Durant has two of them, and any of us won’t be surprised if he adds even more. Here’s the problem though: the consensus around NBA fandom is, despite Durant’s two championships and Finals MVPs, he still isn’t worthy of being talked about in the same breath as Michael Jordan, LeBron James and even Kobe Bryant. Here’s an even bigger problem: me, as a HUGE Kevin Durant fan, has to agree with this consensus. It still feels like there’s something missing when it comes to the career of Kevin Durant. Just like KD, I believed that him getting a ring would be the moment he receives the validation he’s been searching for. It would have finally made sense to name Durant as an all-time great. But the moment he won his very first title said otherwise. I stayed up all night that June 13, hyped up for Game 5 between Golden State and Cleveland. I didn’t want to jinx anything, but I truly believed that would be the day Durant would win his very first championship. I was already picturing how I would celebrate. Would it be by doing my trademark “BEST IN THE WOOOOOORLD” shout that I do after every big play he does? Or maybe I would jump up and down and tweet endlessly about Durant silencing his doubters. I wasn’t sure. But 30 minutes before game time, I fell asleep. Maybe a couple of hours of rest would have helped. I woke up two hours later realizing that I had just missed most of the game. I rushed down to our TV and opened to the Warriors leading by 10 points with five minutes remaining. I expected to feel excited, except I didn’t. I stayed there, blank faced, trying to smile at the success that my favorite player was about to attain. That’s the issue, I was trying. When you’re truly happy, you don’t have to push yourself to achieving just that. It just comes naturally after all the pain and suffering. This wasn’t one of those moments. I wrote after those Finals that winning that Finals MVP felt like Durant getting out of his box. Fast forward a year later, and I can confidently say that I was wrong. Whenever you’re hoping Durant wins Finals MVP for the sake of proving that it’s #KDBetter rather than #StephBetter, then something’s truly off. This was best seen in the Western Conference Finals against the Rockets. Most called it Durant going back to his roots as an isolation player with the Thunder. But a better way of putting it was Durant playing out of focus. It’s like his mind was fleeting elsewhere, with KD carrying some kind of heavy load that was bothering him as the series wore on. I talked about in a previous piece about KD’s biggest demon: his indecisiveness. It’s born out of doubt, something he’s had ever since 2016. He needed validation of his skills as a basketball player. In that Rockets series and in Game 1 of the Finals, it certainly looked like he still needed to get out of his head. There’s a particular lack of appreciation with the way Durant has been playing. When he hit that big shot in Game 3? The concern was regarding the threat that was imminent regarding Steph’s Finals MVP. When he won Finals MVP? Most fans were screaming that Steph was robbed. But it’s not just with the fans where you can see things not feeling right. Most importantly, you could see it with Durant himself. He has the rings, the individual hardware and the big shots. What else does he need to validate his success? For what it’s worth, after the 2016 Finals, I was in utmost joy when LeBron finally brought one to Cleveland. Maybe that can help with Durant’s search. As this new generation has learned: winning a ring is not the only requirement to validate your greatness as a basketball player. There are things far greater than championships, and Duran continues to search for his validation as one of the greats.